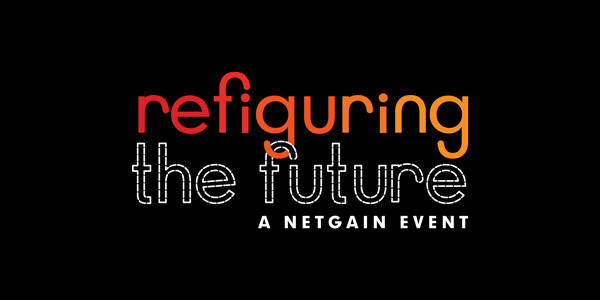 Please join us for a unique public program hosted by the NetGain Partnership that will explore the role of artists in critically examining the social impacts of artificial intelligence and related technologies, and highlight how the arts can help us refigure the future. It will publically launch REFRESH, a new initiative that supports the work of women, both transgender and cisgender, especially women of color, LGBTQ+ artists, and disabled artists, with the aim of fostering creation of more diverse work in the field of art, science, and technology. Alondra Nelson, President, Social Science Research Council, and Professor of Sociology, Columbia University, will moderate the panel. The NetGain Partnership is a collaboration involving the Ford Foundation, Knight Foundation, MacArthur Foundation, Mozilla Foundation, Open Society Foundations and, this year, the Omidyar Network, that seeks to strengthen digital society and advance the public interest. Seating is limited and reservations are required. To attend, please RSVP no later than April 30. Feel free to share this invitation with others who might be interested in attending this event.